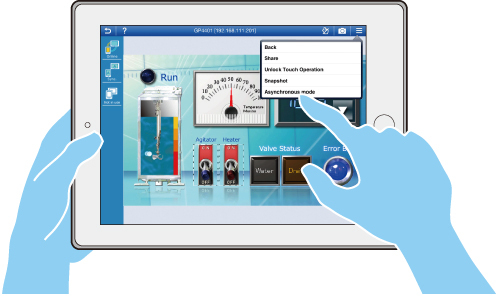 The Pro-face Remote HMI supports synchronous and asynchronous operation modes which switch during operation. A new parameter in the GP-Pro EX setting provides the option to limit the operation modes for the Pro-face Remote HMI. 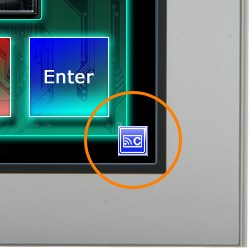 * In the synchronous operation mode, the HMI and the Pro-face Remote HMI always display the same screen. 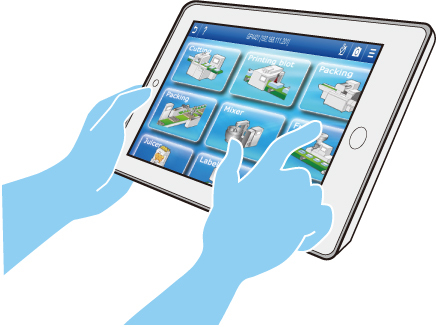 In the asynchronous operation mode both devices can show different screens and allow independent operation. 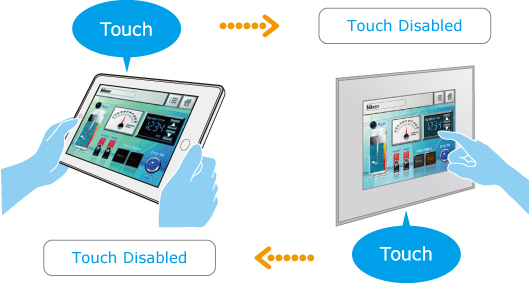 Setting the monopolize touch function prevents unexpected operational misuses caused by redundant operation. You can set a touch monopoly time, or set an arbitrary address for a control address to intentionally monopolize touch operation. Remote Status IconA local operator can check the status of remote connection and touch monopoly of HMI server or remote client on a HMI screen for operation safety. Images or texts of machines to monitor can be registered as shortcuts to easily jump among multiple applications, for various working environment, such as in an office or manufacturing site. 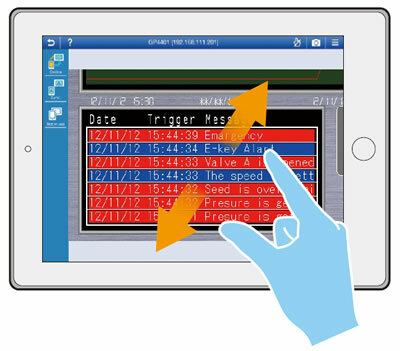 Easy Monitoring with Mobile FunctionsYou can check and operate details of screen status using pinch open and close, while moving around a factory floor. To prevent unintended machine operation, the pinch and slide operations can only be activated while touch operation disabled.